Newegg, the home for all the cheapest computer parts, has now infected us with an app for our Android or iPhone. With Newegg as a resource that every computer builder should use, we've now got every resource the website has at our fingertips. When their dwindling supply of processors goes on sale, you can order directly from your phone. What more could a nerd want? Take the amazing Newegg website, put it on a phone, give it some extra features, and a slightly better homepage; now you've got yourself the Newegg Mobile app. Everything on the homepage just makes sense. There isn't nearly as much clutter with just the daily deals and shell-shocker displayed. At the bottom, you can sign in to access all of your stuff and make orders. When actually browsing, everything works more or less the same as the site. On the app however, you can scan barcodes and do a voice search, which is nice. The only downside to everything is the long loading times. It takes just a tad too long to load each page, but maybe it's just me. Everything, including the amazing guided search, from the site is available on the app, making browsing very easy. The only place that confusion sets in at is the menu system and when viewing an item. The My Account section doesn't work like on the site, so to find things like wishlists, the user has to go through the "More" section. Also, on individual item pages something weird happens. There is a gesture drawing that appears whenever you touch the screen or scroll. It's more of an annoyance than anything, as sometimes I found myself accidentally adding things to my cart by drawing something that barely resembled a C.
As far as computer part shopping goes, Newegg isn't sleazy or too high tech. This transfers over to the Mobile version quite nicely, but it does lack some of the flair that the website has. Nice colors on the homepage, but after that it just turns into bland menus. The way everything works, like the guided search, simply makes up for most of this. Newegg is one of the most useful sites for anyone that has any interest in technology. Even then, they sell some other stuff too. Everything they sell is cheaper than mostly anywhere else. On top of this, they are constantly having sales that bring low prices even lower. It's like a Steam for computer parts. 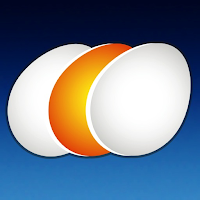 Newegg Mobile takes the usefulness and adds some, like voice search and barcode scanning. As long as Newegg stays on top, which I expect it will, Newegg Mobile will be useful. It truly is as simple as that. Despite a few little gimmicks, Newegg Mobile delivers the best of Newegg.com straight to your hands and throws a little on top. Except for some long loading times, expect this app to deliver to all of your technology needs, no matter where you are!